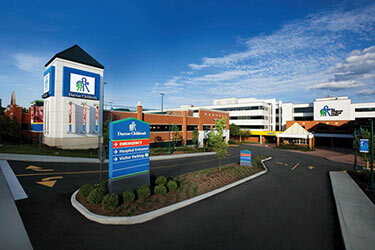 The Wright State University Department of Pediatrics is housed at Dayton Children’s Hospital, a 155-bed private, not-for-profit tertiary pediatric health care facility that offers a full range of inpatient services, 35 subspecialty and general outpatient clinics, and public health programs encompassing health maintenance, early diagnosis and treatment. Included within the hospital are a 16-bed pediatric intensive and progressive care unit, a six-bed intermediate care unit, a 10-bed hematology/oncology unit and a 41-bed state-of-the-art Level III newborn intensive care unit. Dayton Children’s is staffed by nearly 1,500 employees. The medical staff consists of around 350 physicians. Additionally, over 1,000 community volunteers devote their time to hospital. This full range of subspecialists works without the involvement of fellows, offering residents close contact and direct teaching from the attendings. In addition to pediatric and internal medicine/pediatric residency training, Children's provides pediatric experience for residents in general surgery, orthopedic, psychiatry and family medicine training programs. Centrally located just to the north of downtown Dayton, the four-story hospital offers 340,000 square feet of space for therapeutic, diagnostic and research endeavors. Recent renovations on two general pediatric wards, inpatient and outpatient surgery (featuring private rooms before and after surgery) and the newborn intensive care unit provide completely refurbished patient care units as well as a large number of private rooms. 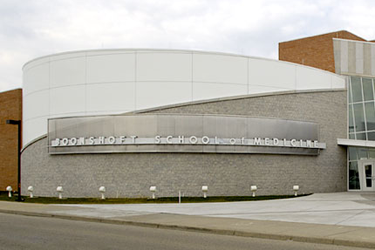 Dayton Children's educational facilities include several conference rooms, a modern 153-seat auditorium and a medical library containing 7,000 volumes and 250 current journal subscriptions. Complete audiovisual services and computer literature search programs are readily available to residents. A Family Resource Center is a library for staff, students, patients, families and the general public. It includes books, pamphlets, videotapes, audiotapes and access to computer databases and the internet. 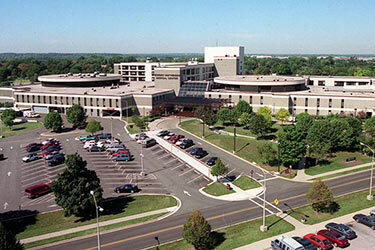 The USAF Medical Center at Wright-Patterson Air Force Base is a large military facility. The second largest medical center in the Air Force, it acts as a regional referral center for the department of defense medical system and serves a large military dependent population. Outpatient pediatric operations are on the first floor of the hospital and completely dedicated to children's health care. Over 350,000 general and subspecialty pediatric outpatient visits a year, present the residents with extensive opportunities for a diverse ambulatory care experience. An obstetrics service and newborn nursery provide residents with well-structured training in normal newborn and neonatal resuscitation. The base also has the Patient Simulation Center which has state of the art human patient simulators which offers the ability to practice PALS, NRP, intubation technique, intraosseous access and chest tube placement to name a few skills. Full-time United States Air Force pediatricians staff the pediatric department. These academic general pediatricians and fellowship-trained subspecialists work directly with residents in all aspects of pediatric care during rotations at Wright-Patterson AFB. The pediatric subspecialists represented at the base include Pediatric Cardiology, Pediatric Neurology, Developmental and Dermatology to name a few. The residency's adolescent medicine and behavioral-developmental block rotations take place at Wright-Patterson AFB as well. A number of the staff served as general pediatricians before coming to the residency program and thus provide a balance between the perspectives of the generalist and subspecialist in providing ambulatory training. 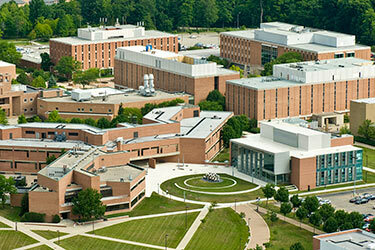 Established in 1973, Wright State University Boonshoft School of Medicine strives for excellence in educating physicians, conducting research and providing continuing and graduate medical education programs — all within the context of preparing physicians to meet the health care needs of individual patients and society as a whole. Clinical training for medical students and resident physicians takes place in a diverse range of health-care institutions throughout the Miami Valley. Instead of operating a single, university-based hospital, Wright State works with eight major teaching hospitals and has formal affiliation agreements with more than 25 other health care institutions in the community. In addition to 460 full-time faculty, more than 1,250 physicians in private practice and other health care professionals serve as clinical faculty. A 2010 study published in the Annals of Internal Medicine ranks the Wright State University Boonshoft School of Medicine fourth in the nation for its social mission. The study, entitled “The Social Mission of Medical Education: Ranking the Schools,” measured the percentage of graduates who practice primary care, work in health professional shortage areas and are underrepresented minorities, and combined the data into a composite social mission score. The school's research programs are distinguished by interdisciplinary teamwork and community collaboration and include nationally recognized centers of excellence in genomics, toxicology, neuroscience, substance abuse and treatment, and human growth and development. The Fels Longitudinal Study, which began in 1929 and became affiliated with the school in 1977, is the world's largest and longest continuously running study of human growth and development. The NIH has called the study "a national treasure." Data gathered have been used to formulate national and international health policies and to develop pediatric growth charts used throughout the world. In the tradition of the nation's best universities, Wright State University is dedicated to teaching, research and community service. In addition, Wright State has the distinct mission of providing leadership to improve the quality of life for the people of the Miami Valley. Wright State's links to area business, community, education, and research organizations offer unique educational opportunities to a diverse student body. Named for Dayton's aviation pioneers, Orville and Wilbur Wright, the university serves nearly 18,000 students and offers more than 190 undergraduate, graduate, doctoral, and professional degree programs through eight colleges and three schools. Wright State's faculty are dedicated to advancing the frontiers of knowledge as well as applying this knowledge to real problems. In addition, many of the faculty are very active in political, financial and medical fields in the community. Many classes are small and taught by fully affiliated faculty, 80 percent of whom hold terminal degrees in their fields. Wright State is a member of the NCAA Division I Horizon League, sponsoring 16 intercollegiate sports, including seven for men and nine for women. The Ervin J. Nutter Center is a state-of-the-art sports and entertainment center seating up to 13,000 for concerts, intercollegiate athletic contests, and other arts and entertainment events.